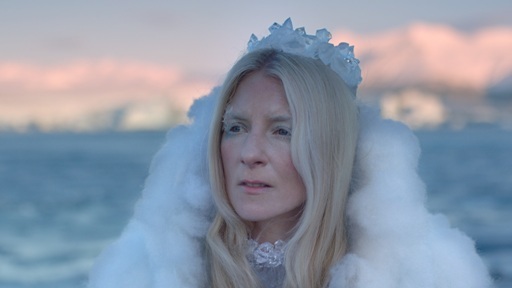 First launched via a set of mysterious viral videos with alphanumeric code titles that eventually formed the ‘B.O.U.N.T.Y.’ EP, IAMAMIWHOAMI, helmed by vocalist Jonna Lee and producer Claes Björklund, premiered a delightfully odd BJÖRK-like cinematic sound that was enjoyed by the electronic music cognoscenti. Under the management of DEF who also look after THE KNIFE, ROBYN and RÖYKSOPP, their first full length album ‘Kin’ came out in 2012 to critical acclaim. 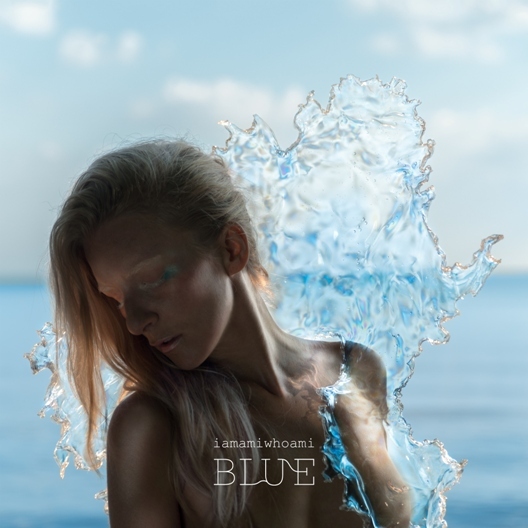 Following the lead of the track-by-track audio visual campaigns of previous releases and crowdfunded using a ‘Generate’ donation service with money promised to be “used for creative purpose only”, IAMAMIWHOAMI have now birthed ‘Blue’ , a natural progression of ‘Kin’rather than a volte-face. It all begins with ‘Fountain’, a windy breeze of glacial Scandinavian beauty with hints of COCTEAU TWINS, and THE KNIFE when they had tunes. A wonderfully icy, melancholic feeling is captured and Jonna Lee’s ranges her voice to compliment the variety of dreamy synthesized cinematics. But after the sedate start, the glorious ‘Hunting For Pearls’ups the tempo with pulsing sequences and trancey atmospheres, coupled with some beautifully rich vocal theatrics. If KATE BUSH made a modern electronic dance record at ABBA’s Polar Studios, it would probably sound like this. ‘Vista’ also features more KATE BUSH mannerisms but despite the Banshee-like shrills, the vocal melodies are pretty with everything held together by cool crystalline textures and an uplifting melancholy. It is this strange optimism within the Nordic Noir demeanour that makes IAMAMIWHOAMI such as enticing experience, both aurally and visually. The journey continues with the gloriously majestic ‘Tap Your Glass’ and its incongruous holiday mood driven by octave shifts dressed with tuned percussive elements that could be mistaken for steel drums. ‘Blue Blue’ takes the pace down again and even without the videos on YouTube, the beautiful imagery of turquoise lakes and ice fields lock into the psyche. Amongst the almost unintelligible affected vocals, Jonna Lee’s murmurs “I’ll be blue”. The harmonic main theme blends portmento synth with pitched shifted vox while a chorus of imaginary milk bottles join in for a meditative Zen-like conclusion. Adding some timbre variation, various metallic sounds emerge on ‘Thin’ alongside voice samples, arpeggios and even fretless bass as the number builds to a dramatic climax. But one of the album’s highlights comes with ‘Chasing Kites’. Featuring that epic Scandipop sound over a midtempo backbeat and expansive electronic textures, it sees Jonna Lee hitting those high notes with ablomb before adopting a huskier register for the second half. Like ABBA meeting THE KNIFE, with a glorious chorus, it is what SAY LOU LOU could sound like if they were a bit artier. ‘Ripple’ though bursts in like a shot in the arm with a sonic construction more associated with techno yet this is brilliantly countered by Jonna Lee’s wuthering vocal heights. However, it’s business as usual on ‘The Last Dancer’ with backing that sounds like it has come from one of OMD’s more experimental early B-sides before a concluding bass mantra reminiscent of THE KNIFE. Meanwhile the spectre of the Dreijer siblings dominates on the closing ‘Shadowshow’, a reverberant mood piece that has Jonna Lee’s otherworldly rasp dominating the verse before transforming into the rich soprano of Agnetha Fältskog for the chorus.